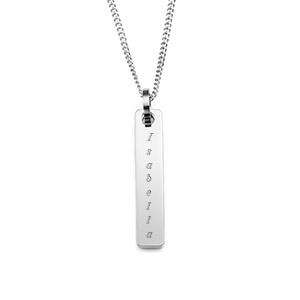 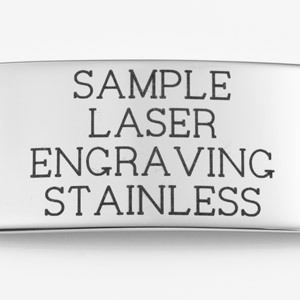 You can engrave the front of this silver colored bar pendant in either portrait (one letter on each line) or landscape (from bail to end) with a name. 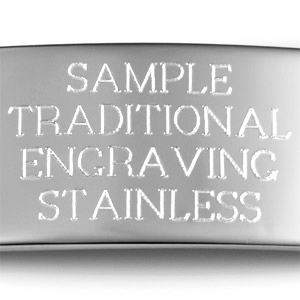 Choose traditional (colorless) etched engraving for a more elegant look. 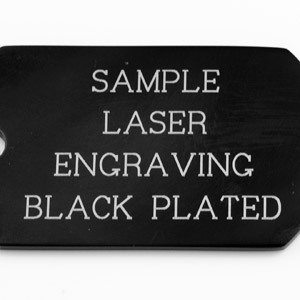 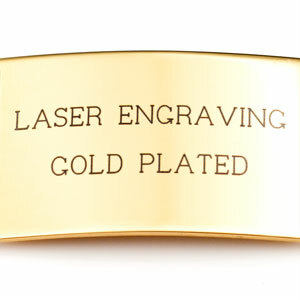 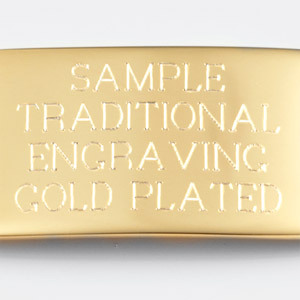 Or choose laser engraving that produces a darker mark that is easy to read from a distance.